Move over Dairy Queen, there’s a new sheriff in town. 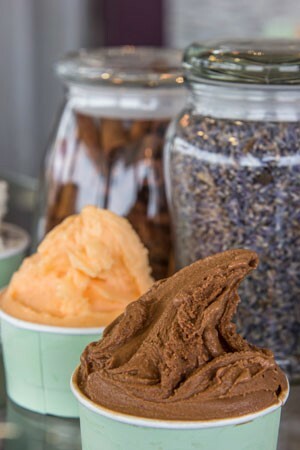 Va Da Vie opened in May in the nucleus of the Park Road Shopping Center, crafting authentic Italian gelato using a mixture of locally sourced ingredients and fancy imported items like the Bronte pistachios direct from Sicily. Armed with a formal gelato education and those tiny paddle spoons, John and Wendy Paglia are in the business of making people happy. Are you as churned on as we are?